It’s time to tell our own stories. Jane-Finch is a multi-cultural, multi-faceted, multi-national community - who better to describe our community than the people who live here? Voices matter because when people tell their stories, they become more than stereotypes, more than statistics, more than images kept in the shadows; instead they become human beings with their own unique emotions, hopes, and dreams. 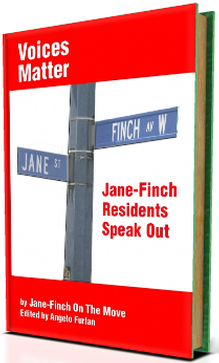 Jane-Finch On The Move is a grassroots group that wants to give voice to our community. We want to overcome the negative perceptions. We want to show what’s behind the image. We will use this web site to tell people’s stories, to point out the positives and negatives of this community, to present ideas, and show our realities to those on the outside. “About Us” is where you can learn about Jane-Finch On The Move. “1000 Words” is where we present images from our community. “Resources” is a collection of information we hope will be of use to our community. Feel free to send us information or corrections. “JFOTM Blog” is where the JFOTM Chair does his blog thing. 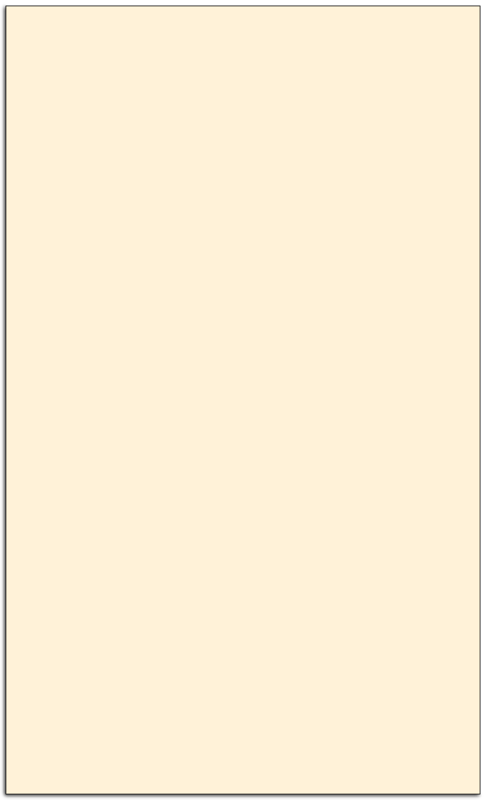 Fill out the “Keep In Touch” form (left side of this page) to contact us and get contacted about site updates. We won’t use your email address for any other purpose. 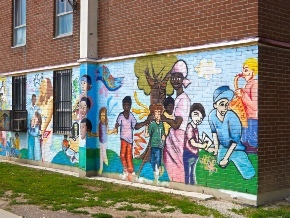 (Right) This is a side view of the mural that adorns the south wall of 4400 Jane Street. For more images of our local murals, click here.